Patients with mild traumatic brain injury (TBI) are frequently admitted to an intensive care unit (ICU), but routine ICU use may be unnecessary. It is not clear to what extent this practice varies between hospitals. We conducted a retrospective cohort study using the National Trauma Data Bank. Patients with at least one TBI ICD-9-CM diagnosis code, a head abbreviated injury score (AIS) ≤ 4, and Glasgow coma scale (GCS) ≥ 13 were included; individuals with only a concussion and those with a non-head AIS > 2 were excluded. Primary outcomes were ICU admission and “overtriage” to the ICU, defined by: ICU stay ≤ 1 day; hospital stay ≤ 2 days; no intubation; no neurosurgery; and discharged to home. Mixed effects multivariable models were used to identify patient and facility characteristics associated with these outcomes. A total of 595,171 patients were included, 44.7% of whom were admitted to an ICU; 17.3% of these met the criteria for overtriage. Compared with adults, children < 2 years were more likely to be admitted to an ICU (RR 1.21, 95% CI 1.16–1.26) and to be overtriaged (RR 2.06, 95% CI 1.88–2.25). Similarly, patients with isolated subarachnoid hemorrhage were at greater risk of both ICU admission (RR 2.36, 95% CI 2.31–2.41) and overtriage (RR 1.22, 95% CI 1.17–1.28). The probabilities of ICU admission and overtriage varied as much as 16- and 11-fold across hospitals, respectively; median risk ratios were 1.67 and 1.53, respectively. The likelihood of these outcomes did not vary substantially with the characteristics of the treating facility. There is considerable variability in ICU admission practices for mild TBI across the USA, and some of these patients may not require ICU-level care. 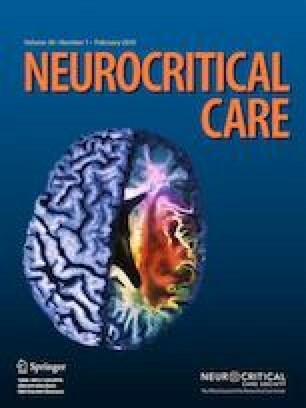 Refined ICU use in mild TBI may allow for reduced resource utilization without jeopardizing patient outcomes. RHB drafted the manuscript, designed the study, and conducted the analysis. AQ contributed to the manuscript, designed the study, and conducted the analysis. FPR and MSV contributed to drafting of the manuscript and to study design. RHB received partial, indirect salary support via an educational grant provided to the University of Washington Department of Neurological Surgery by Codman Neuro, who had no role in the design, conduct, or reporting of this research.